I’ll admit, I wasn’t quite sure what I’d gotten when I purchased the Zebra Surari Sharbo 1000. I’d stopped into the Kinokuniya Book Store during a recent visit to New York City, and stumbled on the store’s Japanese stationery section tucked away in its basement. 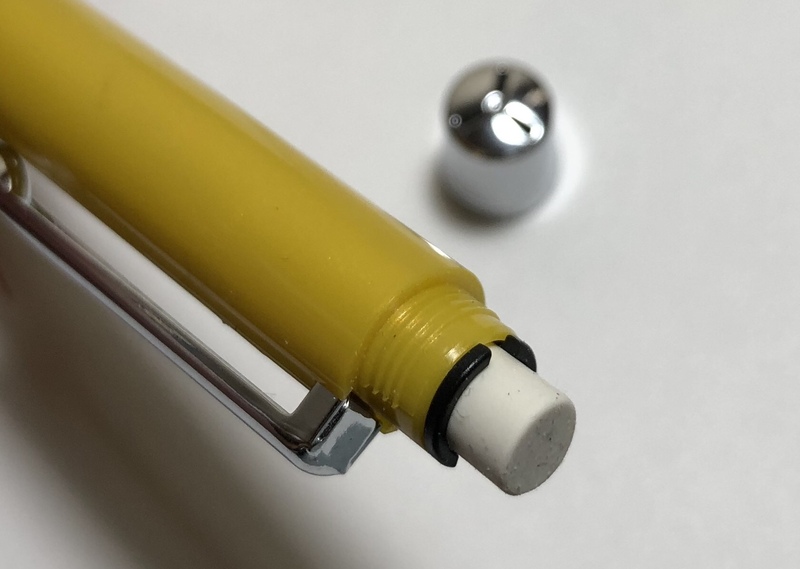 The Surari Sharbo’s bright yellow barrel caught my eye, but since I couldn’t read the Japanese packaging, I had no idea that it was a multi-pen when I bought it. The Sarari Sharbo 1000 contains two ink cartridges, 0.7mm black and red ballpoints, and a 0.5mm mechanical pencil. 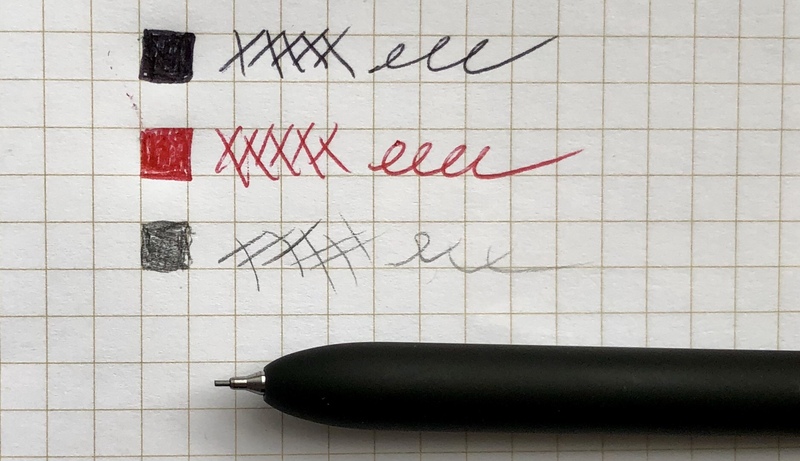 In order to switch between red ink, black ink, and the mechanical pencil, you twist the pen in either direction around its midpoint. There are no markings on the barrel to denote which you are getting, so I frequently found myself having to examine the pen’s tip to see if I’d selected the proper one. The red ink is smooth and doesn’t smear, and the black feels somewhat sluggish. After switching to the pencil, the top becomes clickable to eject the lead, and the the finial twists off to reveal a small eraser. The mechanical pencil lead seems fairly resilient but generally not noteworthy. Just be careful switching back to a pen tip, as the lead will snap if you forget to push it back in. I’m not a frequent user of multi-pens – obviously, I bought this one by accident – but I can confidently say that better ones exist than the Zebra Surari Sharbo 1000. Though I love the bright yellow plastic barrel, I just never got used to the twisting mechanism, specifically the lack of lead/tip indicator. Perhaps this is something I’d have gotten used to over time, but it is enough of an annoyance that I can’t be bothered to stick with it that long. And for the $20 cost, this multi-pen just doesn’t seem worth the trouble. P.S. My fiancée insisted that I create this GIF of the multi-pen in action.